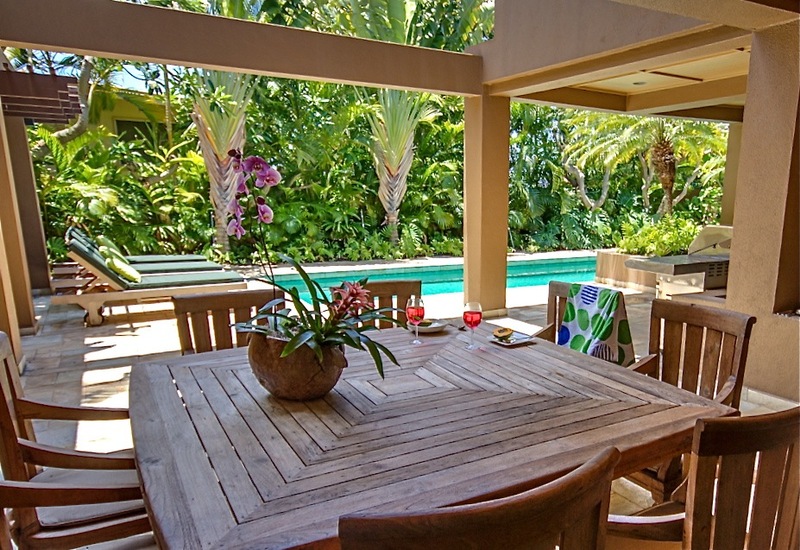 Diamond Head Hawaii Lani, remodeled in 2009, is an elegant, contemporary home with beautiful architectural design and panoramic oceanviews in a private Hawaiian tropical setting. 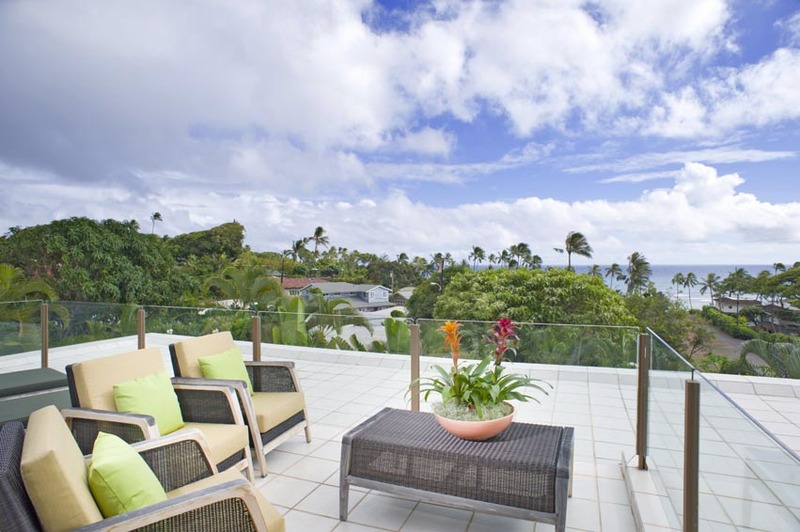 The perfect perch for ocean watching and relaxing in luxury, with large pool, surrounding tropical gardens, and lots of lounging space. 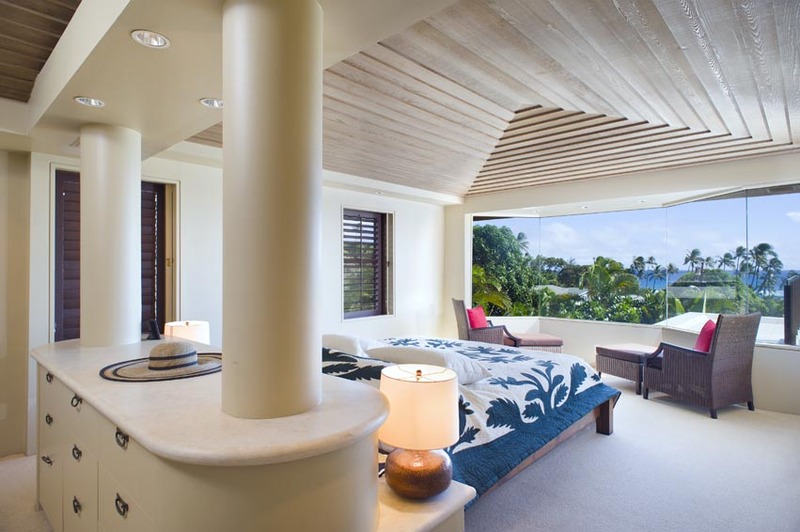 The master bedroom features spectacular oceanviews right from the bed! 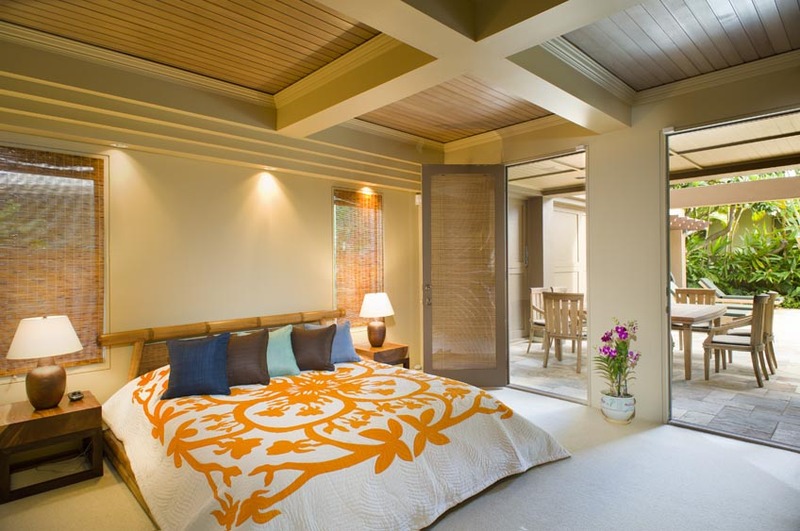 The second bedroom opens straight onto the pool deck. 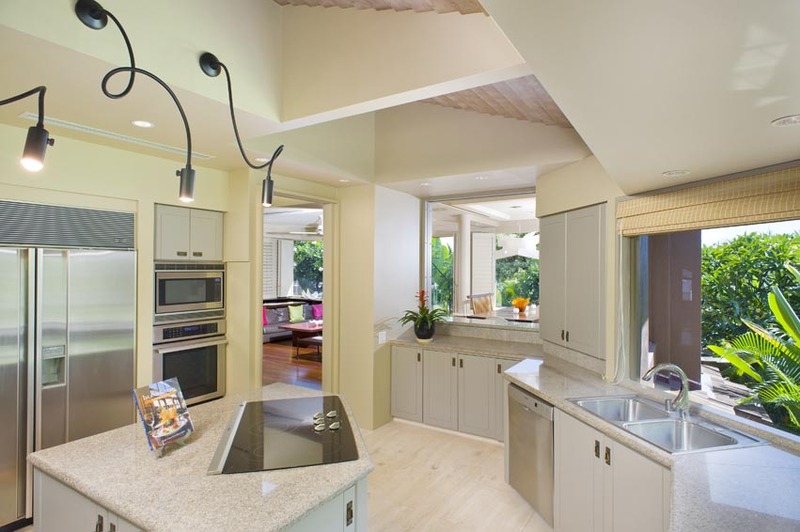 This is a perfect home for a small group wanting extra privacy and living and activity space, or a large group wanting privacy between couples, families, and several wonderful convening areas indoors and outdoors. Guest Bedroom 2- Guest Bedroom: Located on the main floor of the home, this bedroom features a Queen-size bed with en-suite bathroom. Lower Master- Located on the ground floor of the home, this large bedroom features a king-size bed, en-suite bathroom complete with jacuzzi tub and His & Hers sinks. 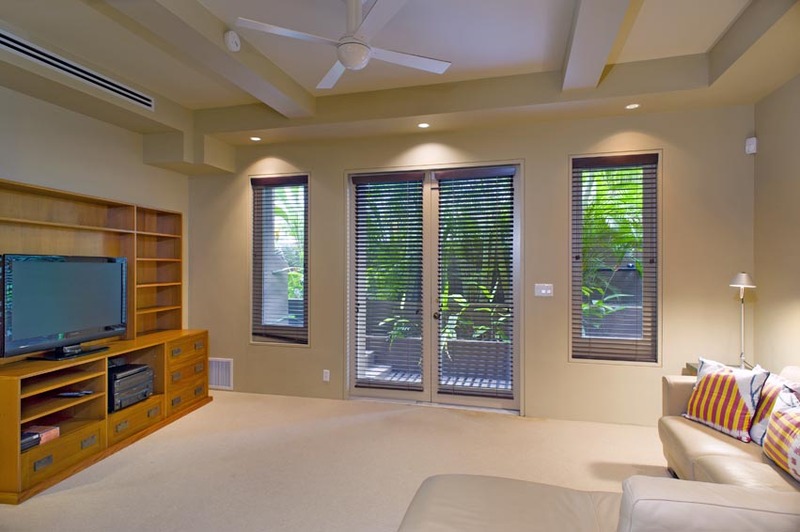 Two glass doors lead from the bedroom to the large pool patio, allowing for wonderful breezes and pool views. 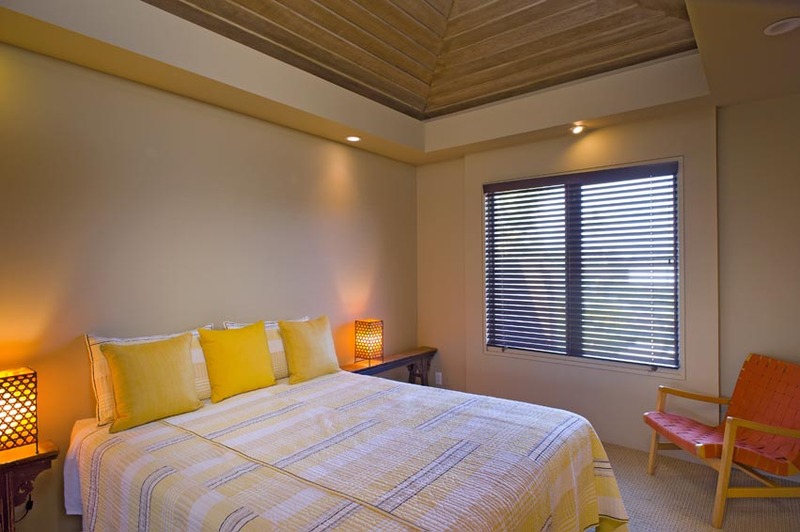 Guest Bedroom 4- Located on the ground floor, this bedroom features two twin beds, two sliding doors with access to the pool patio, pool & garden views. 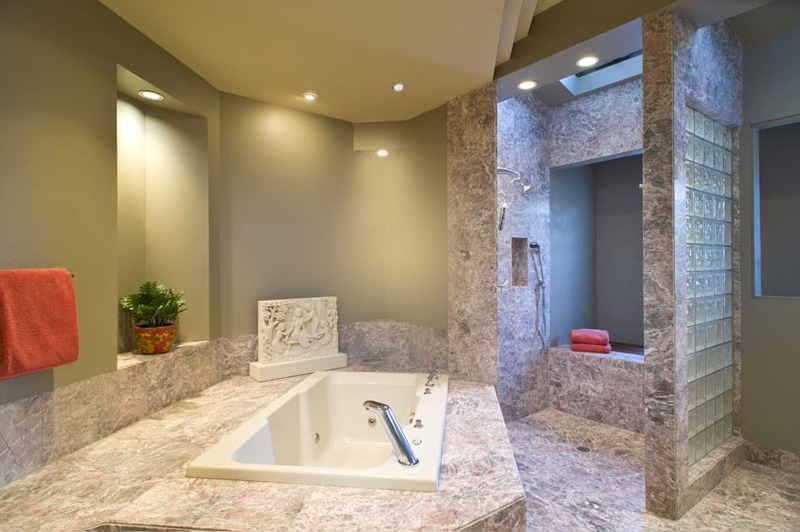 The bathroom is located adjacent to the bedroom and features a double shower. 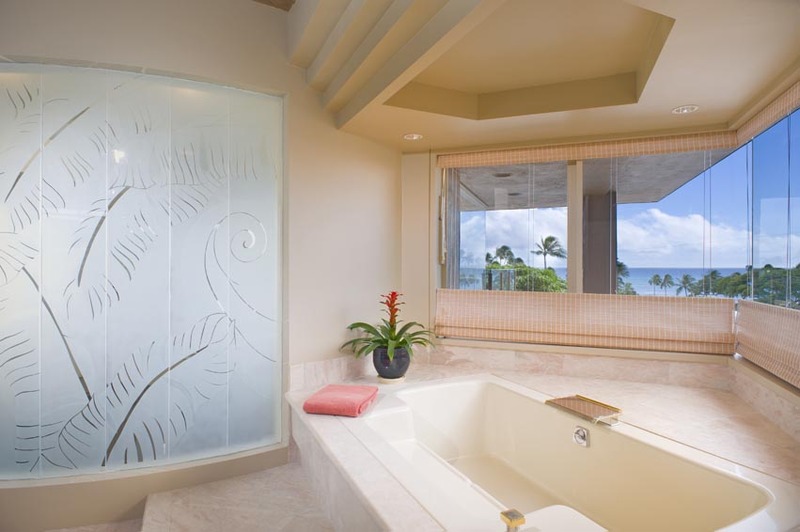 Although completely private, the shower features a sliding door allowing access to the yard, great for showering off after a swim in the pool! 1. A/C in all rooms. 6. Please note there is no child safety fence option for around the pool area. All children must be supervised by adult. 7. Pool cannot be heated. 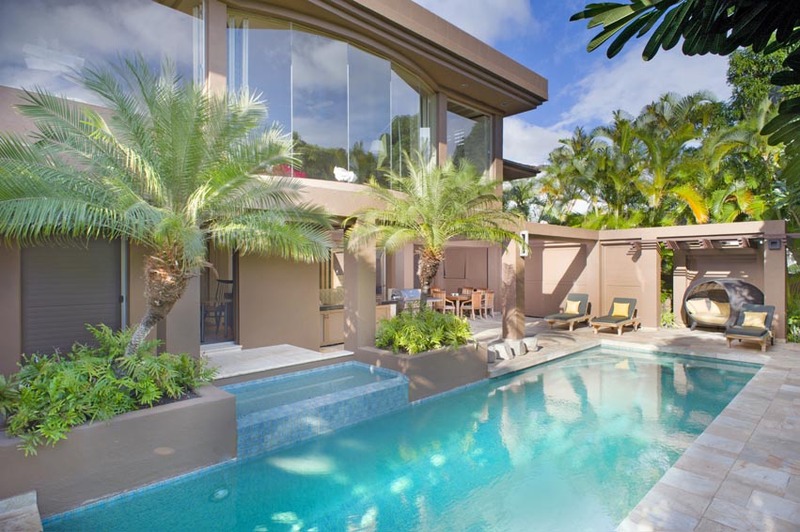 Pool may be too cool for most guests in the winter months. 8. House is on the market for sale and only books 60 days prior to arrival. You may be asked to accommodate real estate showings with 24 hours notice. Very nice home full of a lot of the extras that made our stay extra nice. 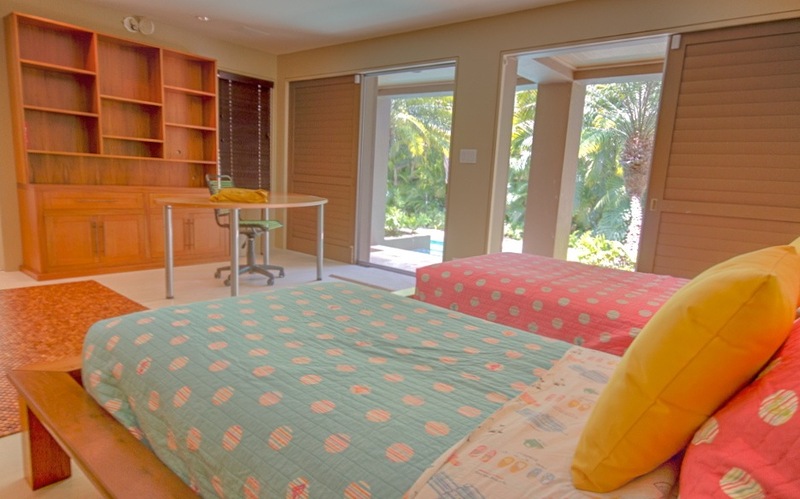 An excerpt from a recent guests stay,"Overall we had a fabulous experience with the home.It was well stocked with basic supplies and the home provided a very relaxed environment.I would definitely consider this home for future stays on Oahu. 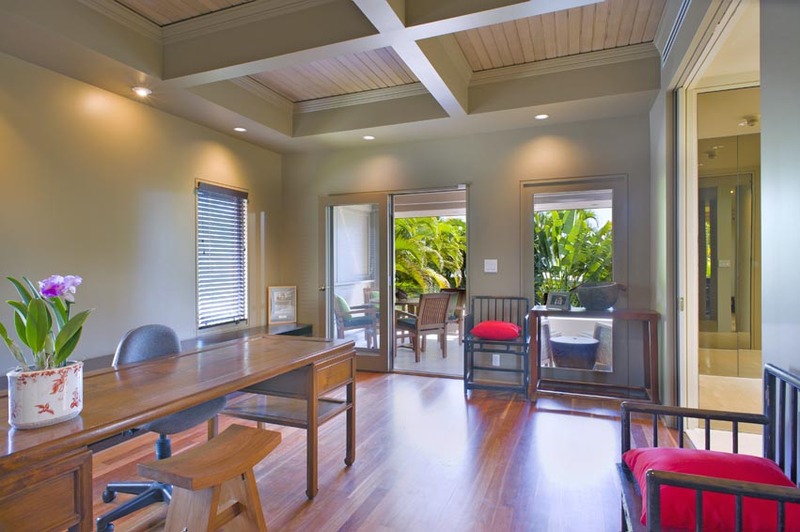 3 out of 5 stars The home was recently renovated and located in a good location close to Diamond Head. The rooms and common areas were large. What was a disappointing is that the pool was almost completely shaded and was not heated and therefore unusable. The only view of the ocean was from the top floor leaving the two lower floors quite dark during the day. A nice half hour walk to Waikiki, but no beach within short walking distance. 3 out of 5 stars We were disappointed with this property. The pool was utterly unusable due to the landscaping shade and location. The pool was advertised as not having a heater, but most would assume it's not needed in Hawaii. We didn't get to use it a single time because it was so cold and dirty. We also were disappointed that no one told us that we had to schedule housekeeping way in advance, so the house got very dirty with trips to the beach etc. The management company went days without responding to us. Good location, nice enough furniture. It didn't ruin our trip, but we wouldn't stay here again. 5 out of 5 stars Very nice home full of a lot of the extras that made our stay extra nice. 5 out of 5 stars We thoroughly enjoyed our stay! One suggestion though, the photograph taken by the property manager at check-in felt more like having a mug shot than a photo of the beginning of our experience. I would suggest that this be reconsidered as it is very off putting. Overall we had a fabulous experience with the home. 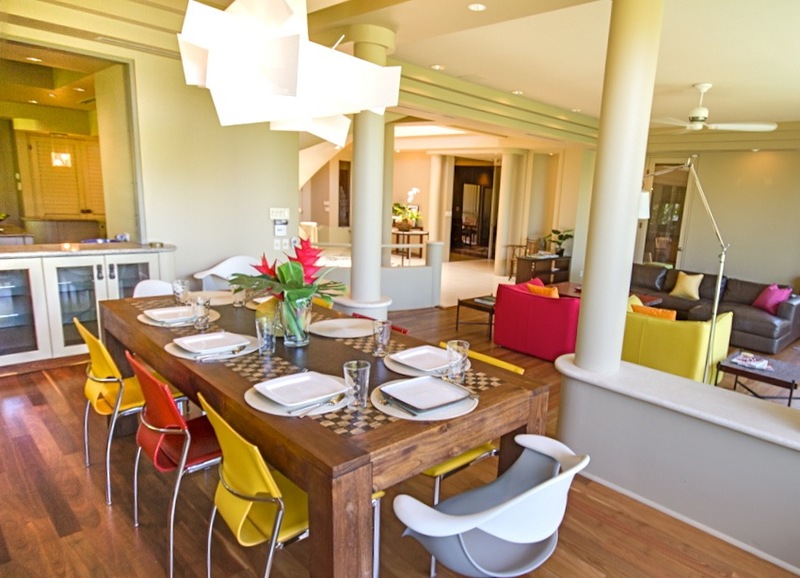 It was well stocked with basic supplies and the home provided a very relaxed environment. 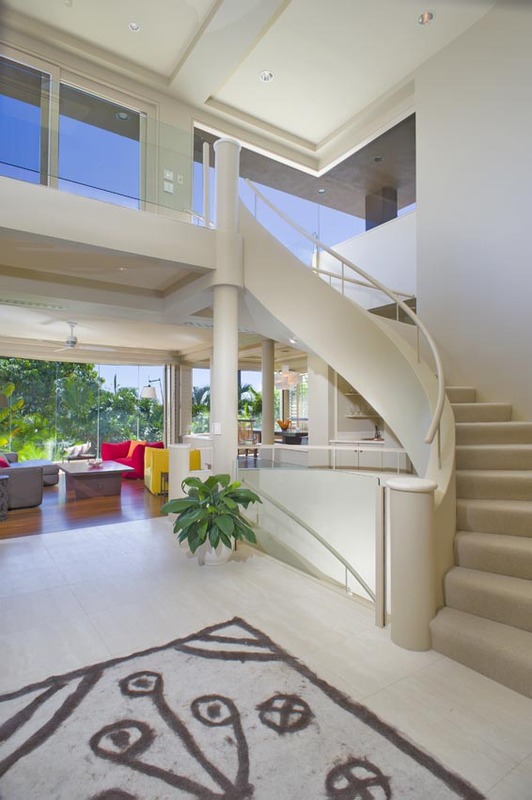 I would definitely consider this home for future stays on Oahu. Mahalo!